"IMIS user for 20+ years"
A great database which allows us to multiple ways to track our members and their interests. We can invoice products dues and track events and fundraising it also integrates with our website. "Powerful Database Requires Solid Training"
iMIS is a very robust and powerful database that offers a lot of flexibility. The reporting capabilities are especially useful as you can extract basically any data field if you know how to set up the report correctly. iMIS is a modular based system, which again offer flexibility, in case you only need one module. iMIS has been moving to a purely cloud based system which I think has been negatively affecting it's performance. There have been times when the system has been so slow to go from one screen to another. It can be frustrating when you have someone on the phone who you're trying to help and have to wait for 30 seconds or longer for the data to pull up. iMIS may be a little too powerful and for such a complex system, the training one receives is woefully inadequate. If the vendor will allow you to use it on a trial basis, I would highly recommend doing so. iMIS is a powerful database, but it may be more than what you really need. iMIS provides our membership database, website and small event registration in one integrated system. This allows us to keep better history on our member's involvement. "We've been using iMIS from the beginning-- when they started over 25 years ago." The flexibility of the software to accommodate most any setup for associations. The buillt-in query function (IQA) also provides for a lot of flexibility in retrieving data without having to rely on a third party product. Also, the built-in CMS function makes creating a website that is fully integrated with the iMIS database much easier to create and maintain. The developer of iMIS (Advanced Solutions International) have slowly been converting the product to a fully web-based application. However, it has taken much longer than expected which has caused frustration for many iMIS customers. For associations that desire to manage all of their data operations through one product, iMIS is a great product with all of the major functions built into the product. iMIS is the central engine for all of the data that we use to manage our association. We maintain all of our member records, dues billing and management, event registrations and all functions that are fully integrated with our website. "Competent AMS System for Member Driven Organization"
iMIS is easy to use and easy to navigate for our staff when looking up member profiles, adding information, creating committees, setting up events, and pulling reports. Reporting is sufficient to our needs, and the ability to create custom queries to pull any information we could need is a huge plus. I work heavily on the accounting side, and there are many aspects of iMIS that I dislike. With the new iMIS 20 and updates forthcoming, there is talk of phasing out the desktop application, which at this point in time, the desktop is necessary for me. There is no batch control on the staff site of iMIS, which does not allow me to complete any external batches (Lockbox deposits, for example) through the staff site with accurate deposit information. iMIS also does not support more than one Accounts Receivable account per entity. We work with one entity in iMIS, but we work with over 10 AR accounts, so our organization is really unable to use the GL interface to upload to our accounting system because AR would not be accurately represented. iMIS is an excellent database to house our members and non-members alike, as well as all activity associated (event attendance, payments, committee involvement, etc.) iMIS has helped us to become more automated with member communications. "I work for a reseller of iMIS. " Engagement Management System that is completely unique. It helps engage its members-and staff- any time, anywhere. The advanced process automation is incredible and everyone should be buying. We encourage all of our clients to atleast watch a demo. Easy sell and you can tell ASI is working to make less 3rd party options with Advanced Process Automation. honestly I really like iMIS - I don't really have any issues with it. ASI has some employees who are very uninformed but that is any company. Prices are high but I am firm believer that you get what you pay for. Ultimately its an investment that pays itself back for users. If you are still using excel - GET WITH IT! It is 2016 and there are revolutionary ways to manage your members. Your members will love this system. in 2016 we view data on our computers phones tablets from anywhere we want. This EMS gives us the ability to do this effortlessly. Also makes conferences for our clients so incredible when can update and register right there at their booth. "Easy to use customer relationship management." Customer details contained well. User defined tabs make business processes easy to automate so that they can manage their administration and keep track of their communication with the customers. Also has flexibility with its user defined tabs so we can change it to meet business requirements. Events module doesn't enable table allocations or multiple user registrations and invoice generation. Billing only caters for 10 products so we have to run multiple billing cycles instead of one as we have 27 optional products that our members can choose from. No CPD mechanism available out of the box or LMS. Want to be able to have events that automatically link back to a cpd system. Improve Certification for Learning management system as we have had to go to a different supplier for this. Maintenance of administration processes and automating these processes so that all information is in one spot not in separate spreadsheets throughout the organisation. Events online so staff don't have to manually register members. "My Go-to System for managing all of our needs"
The best thing about iMIS is its ease-of-use. I am able to train staff in the basic functionality of the system in a very short period of time. WIth just a few clicks I am able to access member history, sign them up for products, and reconcile our payments to our accounting system. With just a little training and the security provided by outstanding client support we are able to deliver a product that our members love. iMIS is a bit "techie". You need to know IQA, and programming if you want to administer the system yourself so it's a far cry from the simple click and go build systems that are aout there. To counter that though, there's a huge user network/organization that you can learn from and the product resellers that I've encountered are great at working with organizations to put out things that don't come intuitively. Talk to people that use the system first. There are lots of companies using various versions of the system and lots of different resellers. A lot of times, the reseller makes the difference in implementing the system and keeping up a relationship with your ASI relationship will get you what you need when you don't know where to look. Also, attend NiUG and the business forums. They'll provide information and shortcuts that you might not have known about from other sources. With iMIS, we are better able to engage our members, build our membership and increase participation in our meetings and activities through RiSE. iMIS is a dynamic environment built on very basic SQL functionality, making it uniquely able to provide incredible functionality and versatility while enabling pathways to external application use. The names table is built based on individual membership and we have a family membership record style, so having two names (verses the allowed member name and company) would be useful to us. The plus side, we were able to create those fields in a custom demographics table, it's just not viewed in the same place within the desktop application. Think long term when doing your development to make sure that you've built the correct environment to grow with your increasing needs. We are actually using iMIS to interface with the billing system of our insurance company, an independent sister organization with shared customer base. It allows us to bill for dues with their vendor invoices and increases member retention and raises the customer satisfaction ratings. "Can't say iMIS this software"
The simplicity of this software, at least the version my employer used, made it easy to navigate around. The tabs organized different components of our data very easily; in our company's case we had four. While the layout was simple, it was easy to know where to go to find what you needed. The fields are clearly labeled - no guessing on what they are. All of the information I need to see about an account shows up where I need it, without guessing if I'm interpreting it right. There were varying counts for our events, depending on which mode you were looking in and what report was pulled - with no logical explanation of why. Once something was entered into AR/Cash, it was very difficult to reverse, which caused a few hiccups when a client cancelled an ad or registration. Reversing charges was very difficult and often our staff resorted to creating alternative documents and "updated invoices" in separate software. Pay more money to switch to a web-based software that integrates with other software. The version our staff used was outdated at best, but the consideration of upgrading to a current version did not offer as many options on our staff's "wish list" as other competitors did. iMIS did not tie into our evolving website well at all and was the catalyst to change software. The interaction between other third party software (like email marketing software) was a manual, arduous process. With a small staff wearing many hats, this software no longer functioned well for our needs. "iMIS 20.2.1 - Very Satisfied!" What do I like best... well, there's a lot to like. I like the software is very easy to use for the end-user. Our staff finds it very simple to use for their every day tasks and responsibilities! I personally like how easy it is for me to make the software work to the best of my organization's needs. I recently created a Member Portal for our website using RiSE and I am thrilled about how it turned out. I am now in the process of building our entire website through RiSE. I honestly can't think of anything that I dislike. There is always room for improvement, but that's true for everything. The addition of RiSE to iMIS has given our organization the ability to easily connect with members and get keep their information updated within our database. "Excellent Product for Association Management"
The new user interface and dashboards are easy to maneuver. The training / class options available will help learn any aspect of the system, many from your own desk with no travel required. The initial cost is high as well as the annual support fee and the process of amending orders needs to be rethought. The company is moving forward in today's market by moving to a fully functional web based product. Any association can also appreciate the efforts by ASI to remain PCI compliant and maintain the security of their client data. They continually support the product 24 / 7. Their staff is courteous and always aware of any issues that may come up unexpectedly. They are knowledgeable and stay in communication with their clients in various ways including but not limited to e-mails, phone conversations, screen shares, newsletters and notifications, You do need to have an IT person whether on staff or from a 3rd party that is knowledgeable about data and databases to implement the initial product, however once that is done and employees receive training, the program is easy to navigate and has many valuable features. The whole idea of one system that can manage your entire organization may sound daunting at first but it is completely worth it once the system is installed and running. The overall integration of this product is great. We are solving Event Management, Billing and Membership Dues tracing with this product. The iMis interface is very intuitive and it is convenient that the platform is web based instead of desktop based. My organization has worked with iMis for a long time but only just recently upgraded from a very old version. The updated version of iMis is a huge improvement from past versions. It isn't simple or intuitive to pull specific reports. I recently needed to pull a specific report and the algorithm had to be set up by our data manager. It shouldn't be that hard! Make sure that all staff are properly trained in using iMis and that everyone feels the responsibility of maintaining the database. iMis is only as good as the info that it contains! If that info is out of date or disorganized everyone will hate iMis. In my non profit organization it is crucial that we maintain an up to date, clean and organized member database. This has helped us with fundraising and event registration. "iMIS user for 13 years"
Ability to track users' information, including contact info, activities and all participation. Through the relationships, we are able to see which firm a person belongs to, and other people within their firm, and which branch office each is in. We also use iMIS for attendees to register events, allowing us to skip needing another vendor's software for this purpose. iMIS then allows us to pull rosters for all events, and for specific functions within any event (who will be at a dinner at this year's conference, for example). We use iMIS to give users access to our website and to our email lists, and track their usage of those pieces. We use it daily, for so many different things, and it's so integral to our day-to-day work that it is hard to imagine life without it! Some of the reports can be a bit clunky if you haven't had the training on how to operate them - I can get along fine, but some coworkers have had to come to myself or our IT person to have us run certain reports. Some features are sort of hidden, so you have to know where to go to enable them - for instance having a person in the database being a leader of a meeting. Thorough training is very important. Do it! I cannot imagine life in this association (or others that I've worked for) without this product. Primarily keeping track of all the employees in the firms that are members of our association, and keeping track of the different avenues of their participation in the association. This helps us know which firms are getting the best value from their membership, and helps us focus on those who have less participation - reaching out to them to discover what they need and why they are not utilizing their membership fully. We want our members happy so they stay members, and this software helps us to do just that. "I have used iMIS for 15 plus years"
I like that you can link together whole families via the relationship tab - in some ways you can custom build it to fit your needs, so if you come across a relationship that isn't in iMIS, you can add it. My organization, a non-profit, also uses iMIS to collect demographic information. Again, this is customizable. iMIS is cumbersome. I have been working in iMIS for 15 plus years, so I am very comfortable with it, but when I have trained people new to the product on it, it is apparent how complicated it is. There is not an ability to clone accounts so when you are adding multiple people from the same family, you start from scratch with each person. iMIS works across multiple departments at my organization. I work with iMIS to register people events, to create case files for advocates, to enter demographic information for grant reporting, etc. The Development Department can use those same accounts to enter their fundraising information. "Limited to searching for members and reviewing particular profile details." I think IMIS is pretty easy to use. It's easy to maneuver and find what you are looking for. Searches are great because you search by more than just an ID, you have multiple choices for searching and that is really helpful. For me, I use a mac laptop and so have to use remote desktop to access IMIS. That makes it difficult as the remote desktop view is limited and therefore makes the view of IMIS limited as well. I'm looking forward to the newest version to come out as it will be web based and more convenient. I think, based on what I've heard others in my office say, it can be difficult to make changes to certain aspects but I'm not really as involved with IMIS as others so I can't speak personally to that. Using IMIS is a very basic task for me. There are many times that I need to look up a member or customer because their are issues with them receiving emails from AAPG. My function is e-communications, so I work a lot with contact preferences. Typically what I am doing is trying to figure out if someone is or should be receiving emails and if not why. I like that this is a simple process because my days are very busy. Spending a lot of time on such simple tasks would be a frustratoin. Also, the fact that I can review contact preference profiles I am able to take some workload off of our IT and member services groups. I like being able access the information without having to reach out to other people. The email capabilities to keep up with our users. The only thing that I wish would improve is the duplicate featured. I know they are working on it for Organizations at the moment and I can't wait to be able to implement it. The duplicate users can still be an issue every now and then. It's make it easier to group by just about anything. If we want to look up people with a specific last name or in a city/state, we can. "Great way to track membership and media contacts"
I like all the different kinds of information we can input into iMIS. When I search for a member in iMIS, I must scroll through the search results by dragging my mouse down the scroll bar. I wish I could scroll by using the middle mouse scroller or the up and down keys on my keyboard. iMIS is a great way to keep track of your membership as well as media contacts. We can add detailed information about our membership and our media contacts all in one place and easily run reports on different subsets. "iMIS admin and user for over 15 years"
The product is robust and yet flexible enough to meet the needs of various types of associations. Many aspects of iMIS are still locked down and are not available to endusers to customize to their needs. Really do your due diligence. Ask the questions that need to be asked. Don't leave a stone unturned. Solution providers and ASI don't know everything about your business so they won't know which questions you need to ask. Automation of tasks. This is something that iMIS doesn't do out of the box but with SQL agent and task centre for iMIS we have been able to automate some really cool processes that used to be all manual. "One of the best membership management systems"
Very intuitive and user friendly. Most features are self-explanatory, easy to lern with minimal instructions. 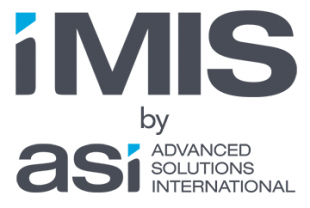 ASI equipped iMIS users with great learning reasources, free of charge. Those include: searchable documentation, video demost. Lack of out of the box itemized receipt for dues/subscription payments. You can generate confirmation for event registration, donation receipt, but not the member dues and subscriptions - frustrating. Go straight to version 20.2. Move all your website content to RiSE. Make sure you learn IQA. We manage our individual and oranizational members, all donations, and event registrations. We use out of the box RiSE tools for online renewals, registrations, membership directory. "iMIS let's our business grow"
iMIS's architecture is wide open. The product is designed to be customized to your organization. For us, that is essential. I work in a not for profit organization that runs Community Centers. There is no 1-stop off the shelf solution for an organization like ours. We run about 7 businesses (Day Camp, Development, Fitness Center, etc.) Each has specific requirements. Despite numerous efforts, we've never found that one app that will give us best of breed features for each business. So, we are forced to use various software packages. But these businesses cannot run in silos. iMIS is the hub for all of our apps and allows us to maintain a comprehensive view of the 10s of thousands of users of our facilities. The barrier to entry is high for a small business. At least one member of your staff must be really fluent in data, databases and analysis to really warrant using iMIS. The development and running costs for all of the customized features and integrations that we've created can be considered cost prohibitive by a small organization. As an organization, we've determined that spending in these ways is essential to our success in our very competitive environment. Keep in mind that this is not a low cost solution (unless you are a trade association). As of the date that I write this there is only 1 other review of iMIS on G2 Crowd, and the reviewer complained about having to spend $6000 annually. If you want to spend $6000 then iMIS is not your product. We are a $25mm+ organization and our annual spend on iMIS is about $100k. But, if you have the money and the experienced technical staff on hand, iMIS can do great things for you that will distinguish you from your competitors. Our development projects with iMIS take 2 forms: integrating an existing best of breed software package into the iMIS hub, and doing pure custom development projects for certain features. The benefits of these efforts are first and foremost a comprehensive view of every individual who uses our facilities and services. We are also able to provide efficiencies through automation. "Inherited use - other choices not an option"
No much. I suppose longevity. iMIS was being used long before I started and will probably be used long after I am gone. We continue to use it because of its connectivity with our accounting system. It is not user friendly for either staff or end-user (registrant). Any time you would like to add an additional feature the cost is astronomical and the costs for technical support for us have run into several thousands of dollars. I budgeted $2,000 for iMIS technical support in 2015 and we spent over $6,000 just trying to resolve issues with registration for one of our events. In the end we received no answers and were not able to offer online registration for an event with over 1,000 attendees. Shop around first. There are other products that are just as good if not better for a much lower price. We are locked into to iMIS because of 20 years of history. The only benefit of this product is on the back end database side. It seems to be reliable in keeping track of our membership database although we have assigned one support staff member to it just to avoid confusion. I have limited ability to look up basic information but cannot go much further such as revenue collected for an event, etc. "Working on iMIS 15.2 for past few months and currenly upgrading to iMIS 20"
1. Lot of customization can be done. 1. Some times site is slow. 2. Should be more responsive. 3. Panels should be more customizable. 1. Chapter and Program Management. Ability to have history available for several companies over a long period of time. Also ability to export data for use in other programs, i.e. Excel and Access. Dues billing doesn't work well for our environment. More geared towards white-collar professional memberships (doctors, attorneys, etc) than for individual proprietor memberships (farmers and ranchers). Be sure you have someone who understands file structure and how your current data is stored to make the data conversion work well the first time -- and to enable you to get the reports you need. Tracking dues, donations, meeting attendance for members and non members. Ability to track this activity and get reports from it; contact specific groups of people based upon activity and other criteria we maintain. "Works OK, but not the leader on the market, I think." We didn't use the latest version, so that might be why we didn't have the best experience. It seems to be outdated ,but again, we didn't use the latest version. It's also very "linear" in terms of association records - for example, Company and Employee would be the same type of record, residing in the same table. We used iMIS (before er migrated to a different CRM) as the main Membership database that contained all the data about our members, including their estore purchases, membership information, etc. "A database with many advantages, especially for a not-for-profit, processing donations daily." The ability to see multiple aspects of any customer on the database and to hide some information from particular users. Technical support is usually prompt and very helpful. being unable to amend orders once an invoice has been raised. We have been using iMIS for a long time but each upgrade produces more benefits and IQA, as an alternative to using Crystal Reports, is a user-friendly way of accessing reports across different areas of iMIS. Maybe in the next few years they will catch up with others but for now I would not recommend for development offices. "My company uses iMIS to keep track of member data." iMIS provides a lot of different options for running email & address lists. Sometimes the system can be overwhelming to operate. Watch some of the educational webinars! We are able to keep track of member records, payments, events, etc. with iMIS. It is a central location for all of our member data. "The homebase for our member database"
iMis is the homebase for our member database. I mainly use it for pulling reports. I do not find it to be particularly user friendly. While it does contain the best member information we have, sometimes I use other platforms for ease of use. iMis creates reports regarding our members, and keeps things organized. "Good product, have been able to do what we need, when we need to"
The ability to add fields as I need for what I need; that there is a large user group to ask questions of and get additional training. As the product moves to be web based, there are fields we currently use that either won't be available or not yet available and having to find a work around. A great product that I feel is moving in the right direction. A lot of great functionality currently being built into the product that I wish was there when we implemented iMIS 10 years ago. The integration between RiSE for our websites and the database, the ability to use the database for marketing combined with database queries for more personalized experiences both in email and on the web, and working with the ASI team. Some of the new capabilities are still limited because they're so new, so it would be nice to see those expanded as they mature. Research thoroughly and be prepared to change business processes. The more integrated, targeted marketing is definitely a benefit. Allowing more staff to own their parts of the database is as well. "iMIS does most things "OK" but nothing really "great""
It's reliable, it integrates with third-party apps, Informz works well with it. Good, basic membership management software. Does a lot of things "OK" but not very many things "great"
Keeping good track of member information/history. Using Informz for iMIS, we are able to communicate effectively with members. iMis is effective for membership sales reporting. However, the software is not easily adaptable. The training is lengthy and the system is not user friendly. It requires longer training time to be proficient than other software options. On average, your employees will not have an easily implemented understanding to how to use the software efficiently and many people will complain about how difficult it is to utilize this system. Sales accountability. However, it is only as good as the information entered. There are plenty of areas for capturing notes, awards, participation, etc. It does not allow for much in terms of customization and elevating reporting. It is a central location for all of our member contacts and allows us to see who has made record changes. "I used iMIS to help manage contacts and relationships"
I liked the simplicity of it. It was nice to see how each person was related to a company or another contact. It was not very user friendly or modern. Maintaining relationships, finding connections and doing research. I really like the reporting. It's easy to use and fairly intuitive. I'm not a fan of having to jump over several pages to find the membership/activity information for a member. It can also be a little cumbersome to enter new members into the system. iMis has some great features (easy reporting) however, they tend to also be a little behind the times on some of their functionalities. Organization of member records online. Great database, like the different ways you can search. The user interface is a little bit clunky and feels old, could use a revamp. As a membership organization with thousands of members, this helps us keep track of everyone in one place, and be able to track their membership expiration, update contact info, etc. "Powerful but often not user friendly. " All data in one place. Member history is important. Hard to get that data out in a usable format. Membership management, donor management, event management. "This product meets that majority of our association's needs." Complex to learn, difficult to integrate with. Review requirements carefully before committing. "Used daily for many years, solid database program"
There's good flexibility for adding custom fields, and when set up by someone who really knows the system, reports are easy to run. Setting up reports can be difficult, order section requires a lot of steps. We are a membership organization that needs to keep track of our members, meeting attendees and interested parties. The various data fields. It’s very straight forward. The user interface. Blocky. You can’t increase font size so always squinting at reports. "iMIS Has Been The Best Association Management Software I have Ever Used"
Ease of integration with other software. Open Architecture, Support is great! Training is great! Some re-sellers of iMIS try to limit user ownership of their software and application. Modifications to standard data fields are almost impossible. Training classes aren't frequent enough. "iMIS made my life easier." Ease of use. Having all areas operating under one system. Having time to learn more that iMIS can do. I know we are under utilising iMIS. Running donor management, fundraising, banking etc all under the same system makes work easier. It has so many features you can use to broaden your client base. We don't have any complaints. The system meets our needs fully. Member record accuracy; it helps us keep in touch with our members for professional development. "The iMIS is working perfect for our business." the way we deal with the client user database. the interface need go to web interface. right now all management we have login to terminal server and run application locally. Understand that there is not a single solution on the market that will do 100% of what you want it to do out of the box. After the upgrade, the additional options and user friendly interface. Not having a contact with iMIS directly and having to go through a 3rd party to get any support. * We monitor all iMIS reviews to prevent fraudulent reviews and keep review quality high. We do not post reviews by company employees or direct competitors. Validated reviews require the user to submit a screenshot of the product containing their user ID, in order to verify a user is an actual user of the product. Hi there! Are you looking to implement a solution like iMIS?